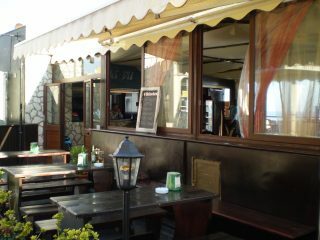 At Marinella di Selinunte, in Via Marco Polo 47, is the Déjà Vu, a splendid terrace overlooking the sea in pubs Selinunte. 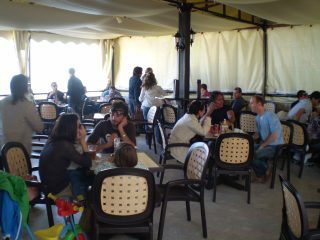 During the day a pleasant café with a sea view, furnished with taste and restraint, where to eat lunch piadina excellent sandwiches and drinking a cold beer. To be served with professionalism and sympathy for pleasant taking an afternoon coffee or ice cream, enjoy the aperitifs and appetizers. An unusual wine bar where you can stop to take a cool drink in the many days of walking Selinuntines, relaxing and listening to some good music, Jazz or Blues. The Déjà Vu Selinunte is one of the few terraces on the sea remained in the province of Trapani, directly facing the Mediterranean, to observe the beautiful sea, golden beach and the view of 'Selinunte Acropolis that protrudes from the promontory is a unique spectacle. 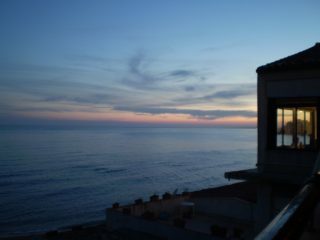 At sunset, then the atmosphere becomes even more magical and charming. Every weekend from 19:00 to 21:00 the Déjà Vu offers its Happy Hour with a large assortment of drinks and variety of snacks. In the evening the Déjà Vu becomes a pub, the lights are lowered, the music replaces the Rock Blues and fresh fruit is prepared to accompany the cocktails of the evening. 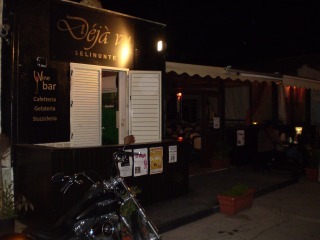 On the main street of Selinunte, the way Marco Polo, the young people will gather at Déjà Vu to spend pleasant moments of warm evenings Selinuntines. The local Déjà Vu is provided not only a beautiful room with many seats, but also a platform on the benches outside where you can sip a drink watching the walking on the main street of Selinunte. Déjà Vu pubs is equipped with both an internal and external bar with cold beer and bar-man specialist who will serve with joy and kindness. The Déjà Vu is now a meeting place to spend the night Selinuntines, arrange to go later in the disco and meet again at Déjà Vu for breakfast the Saturday night with brioche and croissants. Déjà Vu pubs loves music and entertainment events. 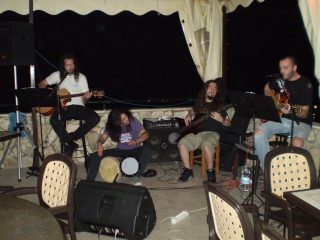 Often organizes evenings Live Music with musical groups and young emerging artists. 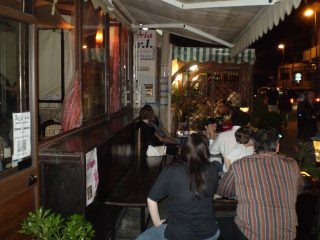 From Raggae to Rock'n Roll, Blues from the Soul, the acoustic music, and Karaoke evenings and piano bar. Several local groups have already produced the Déjà Vu, it comes from Bob Marley to Nirvana, Pink Floyd, Queen, Guns N 'Roses, Dire Straits, Beatles, Police, and many others. Music at Déjà Vu is a constant, always present, for those who would like to find Déjà Vu is to spend a wonderful evening listening to live music. 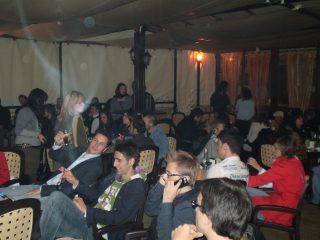 Needless to add that not missing the fun, music, youth, and fun, with a huge assortment of the best Sicilian wines and always drinks cool. 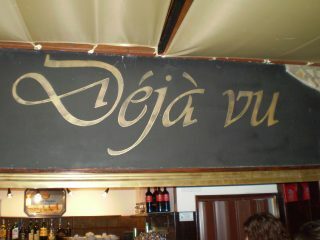 For those who want to spend Selinunte An evening at the pub, the Déjà Vu is a must.